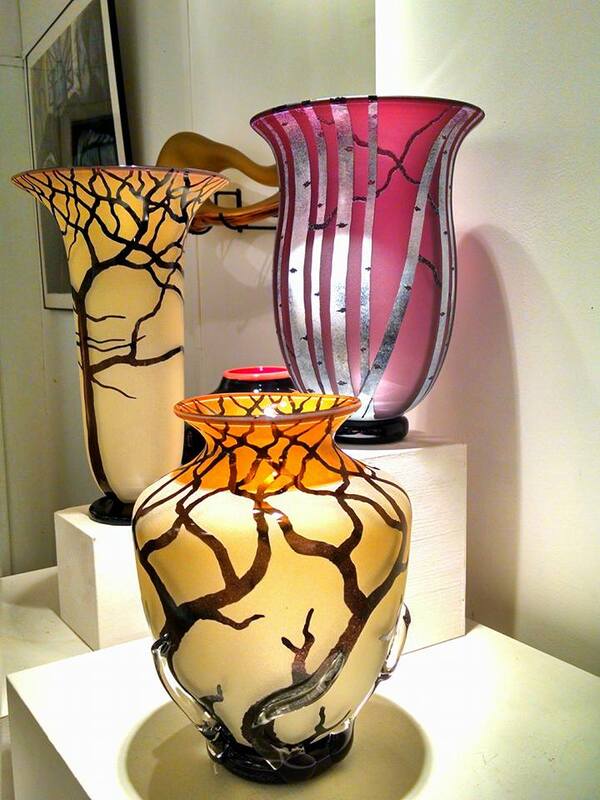 Decorative blown glass art vases & inspiration from nature in glass sculptural art. Great piece, minor flaw inside lid, chipped lid, does not show, will not be an issue on the outside. 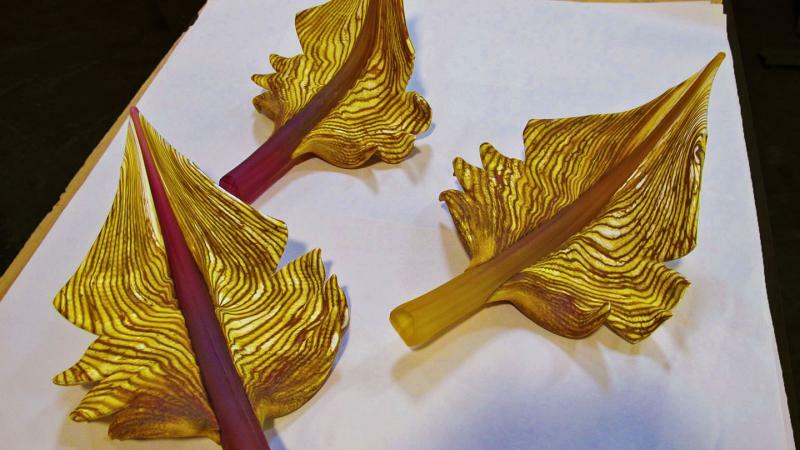 Hand blown glass sandblasted textural leaf from Garnter Blade "Arbor Series"
Only one available in ruby stem color. 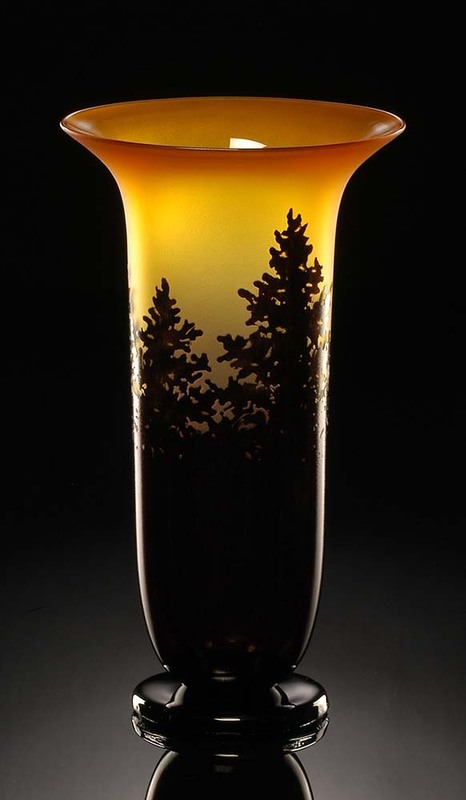 Beautifully handcrafted and signed by artist. 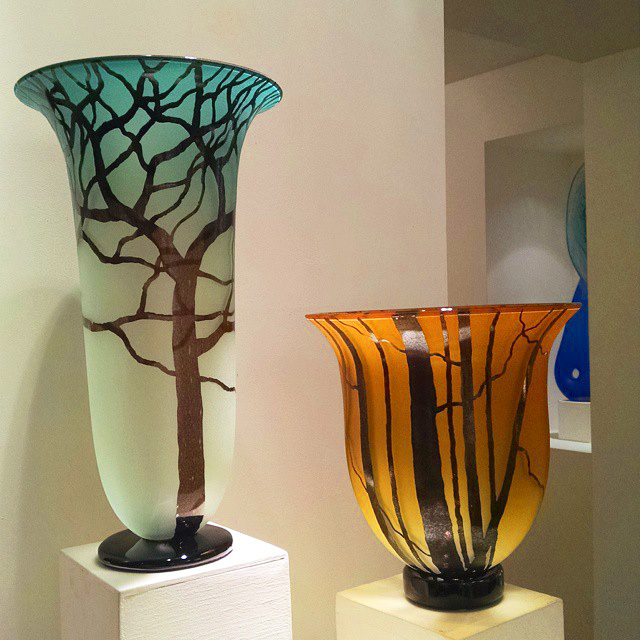 The Tree Vase is hand blown with two layers of color. 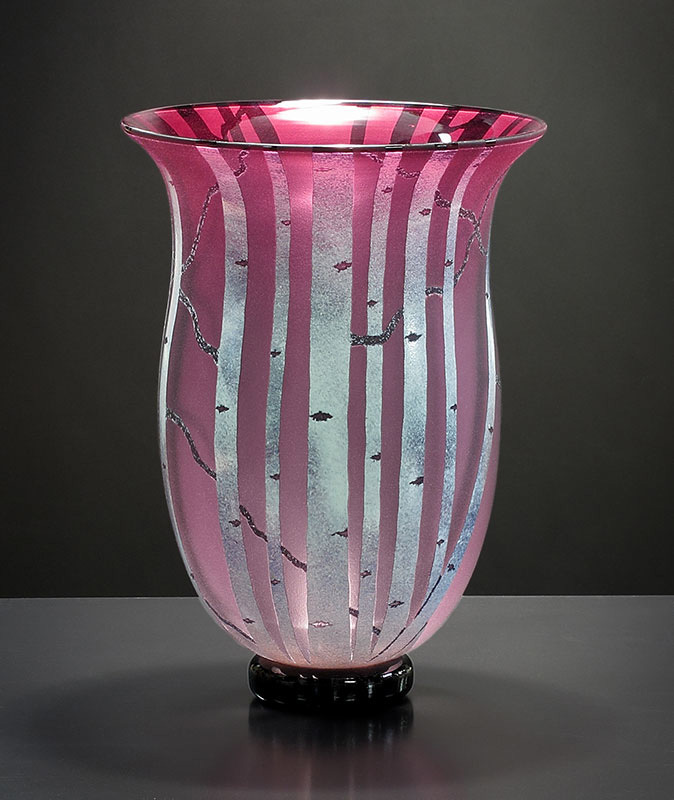 The inside layer is a transparent color that fades towards the bottom of the vase. 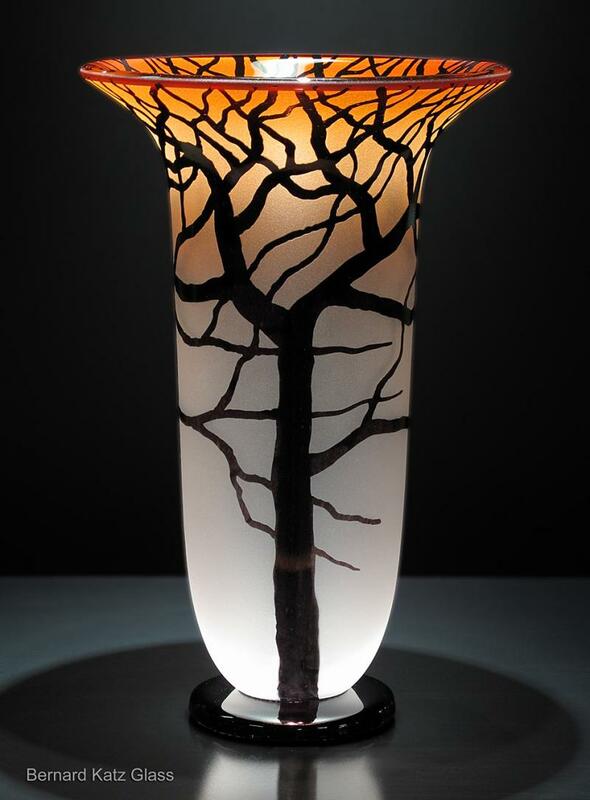 The dark outer layer of glass color has been sandblasted, leaving only the image of tree and branches. 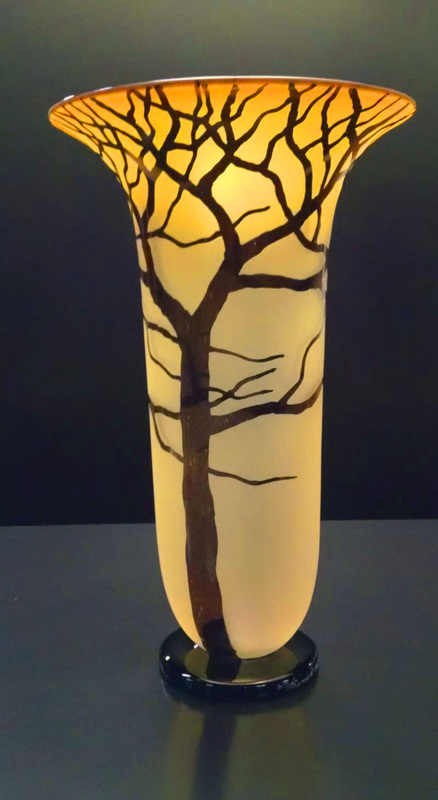 Hand blown art glass vessel with hand etched white birch trees. 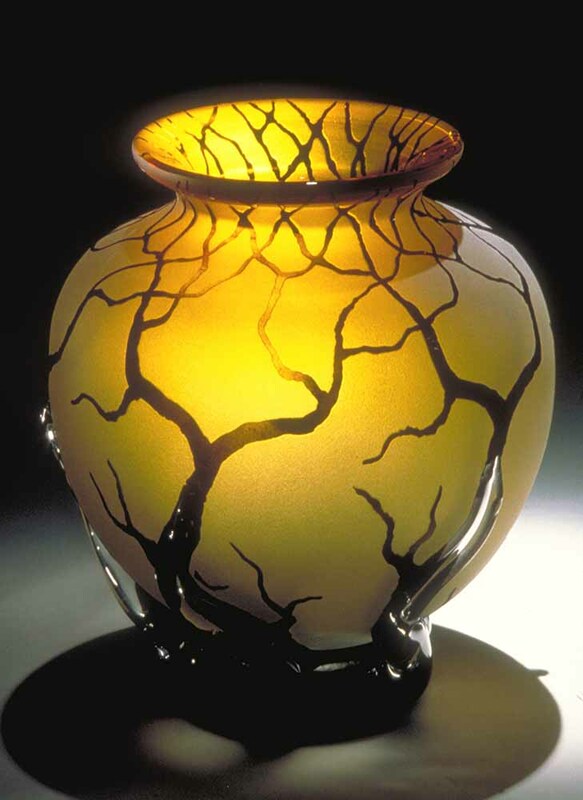 This Gold Topaz Vessel is gorgeous! Since each one is handmade, there are slight variations each one. The vase is not perfectly round on the top of the vase. It is unque and ready for its new home. 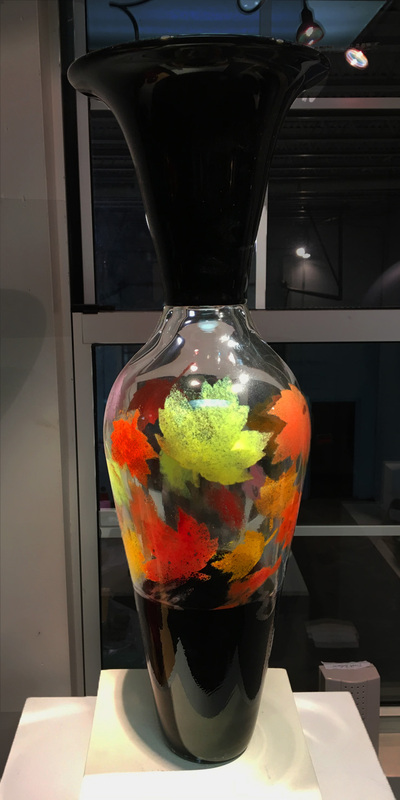 We are offering the piece at a fantastic price and it is as is condition, no returns for this vase. 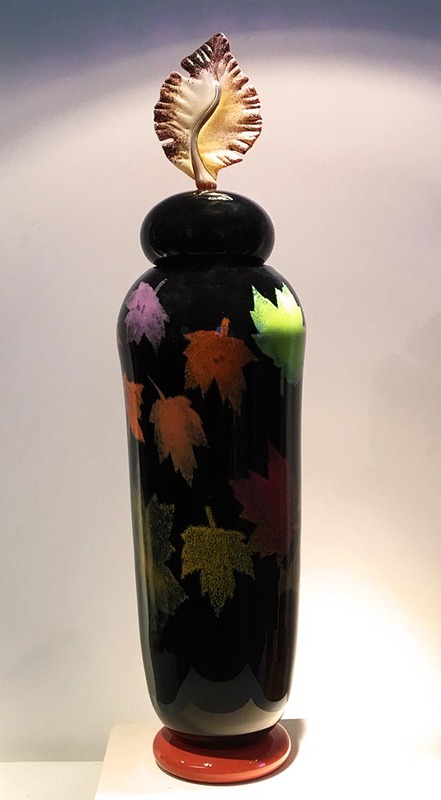 The Pine Vase has a layer of transparent color on the inside with a dark layer of color on the outside. 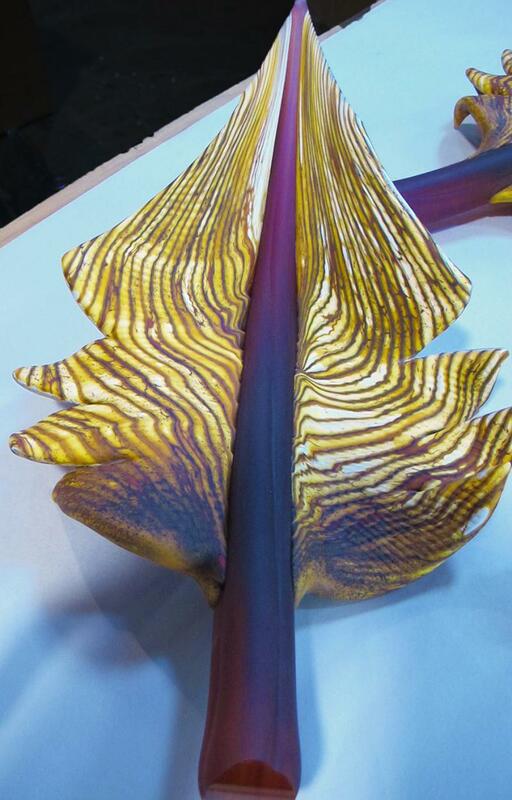 The outer layer has been sandblasted to reveal the inner color.